Also, that e seems to me exactly the type of person (er, letter) to use that most awkward of socially awkward phrases: "Hey guys!" 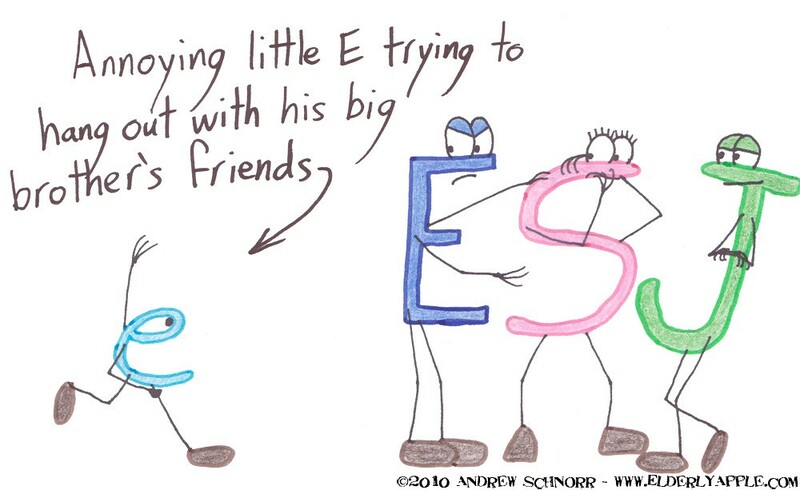 Indeed 'e' is the most awkward of letters. Too bad we have to use it so much. See what I mean, there are at least 16 instances of 'e' in this post! IT'S A CONSPIRACY! look at the curves on that s. HAWT!